Includes airfare, transfers, guides, hotel accommodation and more. *Price is per person (based on double occupancy) and both price and availability are subject to change and are not guaranteed until completed through the booking process. When you arrive in Ireland you will transfer to your hotel. 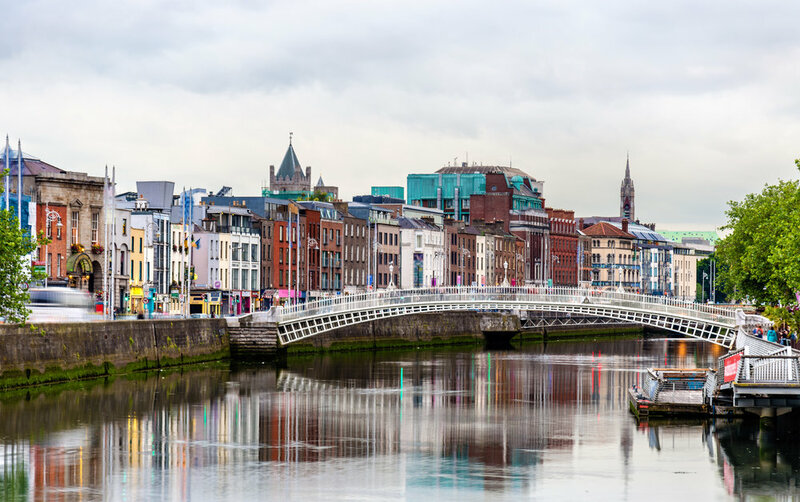 After settling into your hotel, grab a bite to eat in the famed Temple Bar area of downtown (beware, it can get very busy in the pubs at night). Then, enjoy the city by checking out some of the most popular sites! Do make sure to check out Ireland’s prestigious academic institution, Trinity College. The college sits in Dublin’s city center and boasts alumni including esteemed literary legends such as Oscar Wilde, Bram Stoker, and Samuel Beckett. Founded by Queen Elizabeth I in 1592 for the exclusive use of Protestant men, the university now welcomes all religions and genders. Tourists from the world over come to wander the historic cobblestoned campus and see the Book of Kells, a prized medieval manuscript housed in the Trinity College Library. The Book of Kells located within the walls of Trinity College Dublin was written around 800AD. This beautiful and fascinating masterpiece is considered the greatest example of medieval illumination for over 1,200 years. Described in the Annals of Ulster in 1007 as ‘the most precious object in the western world,’ the historic and cultural significance of the Book of Kells has only increased over time. Check out of your hotel and drive south to the Wicklow mountains. Guided Hike: This hike will lead you through some of the most spectacular scenery in Co. Wicklow. The trail ascends steeply up by the Poulanass Waterfall before joining a boardwalk. More than 600 wooden steps lead you to a viewing point overlooking the Upper Lake. The boardwalk skirts the top of the cliffs before descending through blanket bog and heath into the picturesque Glenealo Valley, home to a large herd of deer. A rough track then leads you back down into Glendalough Valley. Depart for Doolin via Tipperary and Limerick. Visit Cahir Castle & Swiss Cottage- It is one of Ireland's largest and best preserved castles, and a short fairy trail can be followed from the castle to the charming cottage. Continue onto Cashel to visit The Rock of Cashel. This was the seat of kings and mediaeval bishops for 900 years and flourished until the early 17th century. Brian Ború was crowned King of Munster here in 977 and he became High King of Ireland in 1002. The village’s three historic pubs, Gus O’Connor’s, Mcdermott’s and Mcgann’s, all host nightly music sessions, where you can hear Gaelic poetry set to music and admire the soulful timbre of traditional instruments like Celtic harps, tin whistles, fiddles and Irish flutes. Musicians from all over the globe visit Doolin in search of the genre’s roots, and a number of events throughout the year bring together local and international musicians for impromptu jam sessions. Your driver will bring you to Doolin Pier in time for a 10am departure. Set sail on the around 1-hour and 15-minute journey to Inis Mór, the largest of the Aran Islands, and enjoy spectacular views of Galway Bay and the Cliffs of Moher as you cruise out across the Atlantic. On arrival in Kilronan Harbour, you’ll have the entire day to explore the island at your own pace. Perhaps rent a bike, or ride a horse around the island, and take in sights such as Dún Aonghasa (Dun Aengus), the Aran Heritage Centre, Dún Duchathair (The Black Fort), Na Seacht dTeampaill (The Seven Churches), Teaghlach Einne (House of St. Enda), and Clochan na Carraige. In the morning, enjoy a guided hike at the spectacular Doolin Cliff Walk. This is a spectacular cliff walk with commanding views of both the Cliffs of Moher and the Aran Islands. Please keep in mind however it is a cliff walk and the path is narrow in places. In the afternoon, explore The Burren, one of Ireland’s most unique and photogenic landscapes. Your driver will take you the short distance to the Cliffs of Moher. 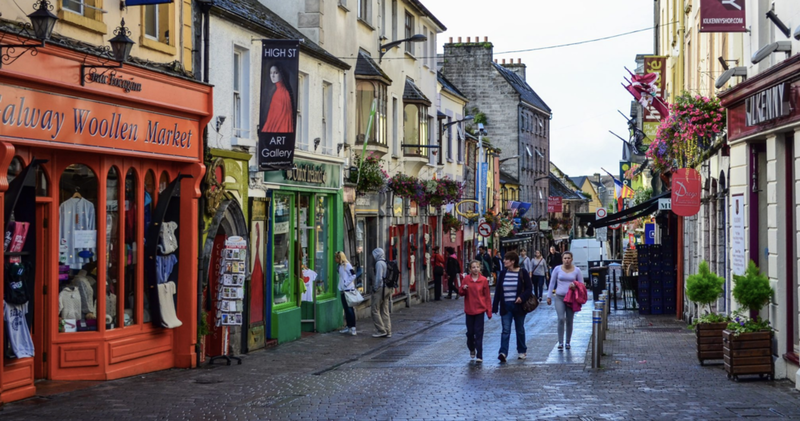 On arrival in Galway you will have a tour of this ancient city including its famous Eyre Square Take time for a ramble down Shop Street to Galway’s Latin Quarter where stands Lynch’s Castle, Galway’s grandest 16th century town house. Stroll up the bustling Quay Street with its many great pubs and lively street performers. Your hotel rests on the shores of Lough Inagh, one of Connemara's most spectacular lakes. The Lodge is surrounded by majestic Mam Turks and spectacular Twelve Bens mountain ranges on all sides. Guided Hidden Trail of the Kylemore Abbey Estate: Hike one of Connemara’s most spectacular mountain. 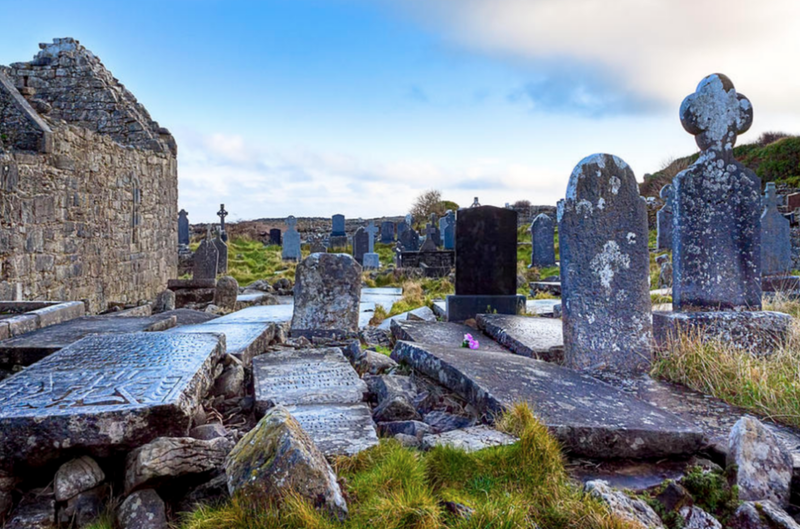 Explore the mountainous valley above Kylemore for spectacular views over Connemara.Experience the beautiful scenery and learn about the fascinating history of Kylemore and Connemara.Our experienced guides have in depth knowledge of the estate, its history, flora, fauna and geology. The paths cross wet boggy ground, small streams and steep ground as the paths reaches heights of 300m above the Abbey. Visit to Kylemore Abbey Kylemore Abbey's greatest attraction is its location. Nestled at the base of Duchruach Mountain on the northern shore of Lough Pollacappul, in the heart of the Connemara Mountains, it is regarded as one of Ireland's most romantic buildings. Continue on to Clifden and you might want to have a pint in Griffins Bar on Main Street. In the afternoon depart for Shannon, Co Clare via the market town of Ennis. You'll visit Ennis Friary from the 13th century and enjoy some free time in Ennis. In the evening, you'll transfer by taxi to Bunratty Caslte. 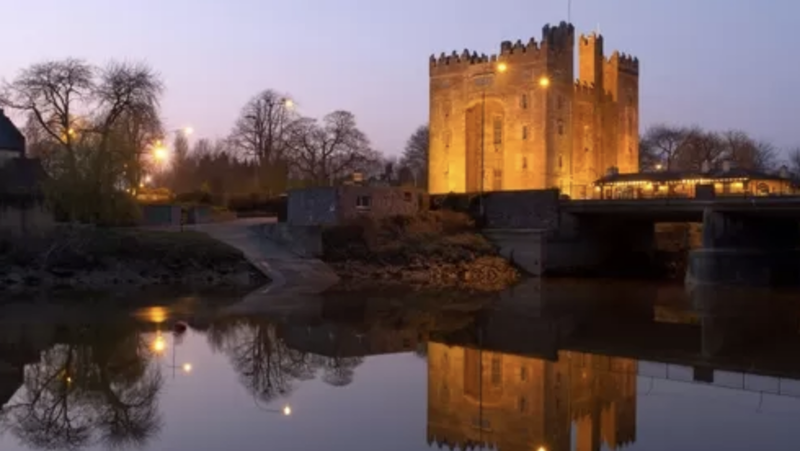 You'll want to arrive a little before the starting time of your banquet at Bunratty Castle in County Clare, so you won’t miss a thing. Please note the characters you meet throughout the evening are playing a part of someone who might have existed during the medieval times. This 2-hour banquet is being thrown by Earl of Thomond. Be greeted at the castle’s front entrance by a playing piper in a kilt, then cross over the drawbridge into the castle and be offered a ‘Bite of Friendship’ by your host. During this experience, make a toast with honey mead, watch the crowning of the Earl and his lady, and be serenaded by Irish music. Enjoy a 4-course meal by candlelight in a traditional medieval banquet hall with long wooden tables and wooden benches. You're in store for a lovey night filled with food, friendship, music, and a few surprises. Today you will bid farewell to Ireland. This morning you will have a driver to take you to the Shannon Airport to board your flight home. 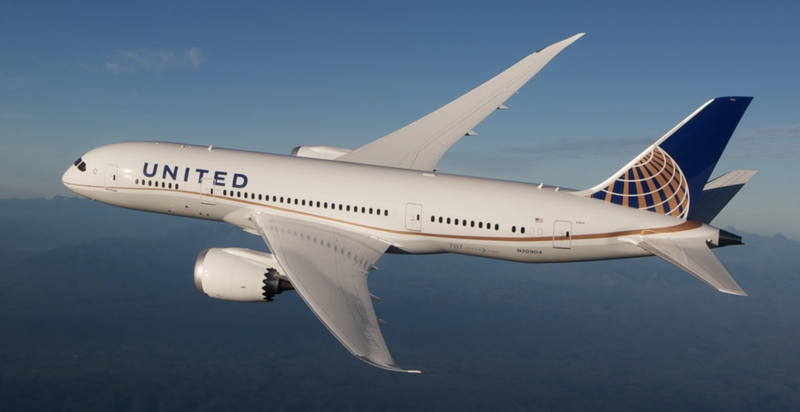 I have read, understand, verify and agree to Zone Travel LLC Terms and Conditions as stated on this website and via the Terms and Conditions link on this website. I understand and agree that all payment receipts made online and/or sent via email include non-refundable service fees and commissions. Commissions, fees and Travel insurance are non-refundable. What are the prices if more people decide to come? What if I don't want to participate in the hiking? You are welcome to stay behind at the hotel, or travel to surrounding cities to explore. Your driver can bring you to other towns, but will not act as a guide in those cities. You will have to leave those towns in time for the driver to pick up those hiking from their locations for the day. What if I want to stay longer than the driver can stay? You can arrange with the driver for a later pickup, or you can arrange your own transportation back to the hotel. What time does the Bunratty Castle Medieval Banquet start? The banquet starts at either 530pm or 845pm. What is included in the Bunratty Castle Medieval Banquet?